Laura Lane, Bernard Lee and Andrew Feldman chat with John Dolan and Matt Jarvis. 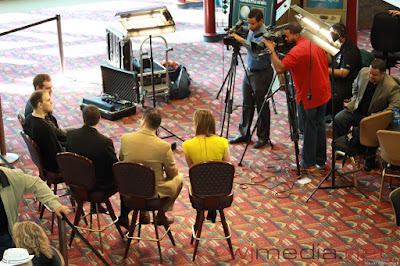 The Foxwoods set of ESPN's Inside Deal. 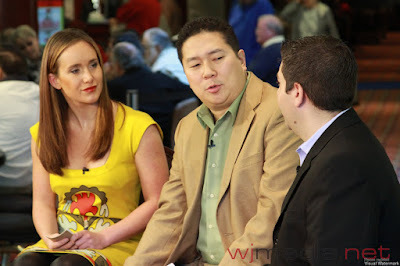 Laura Lane, Bernard Lee and Andrew Feldman of ESPN's Inside Deal. 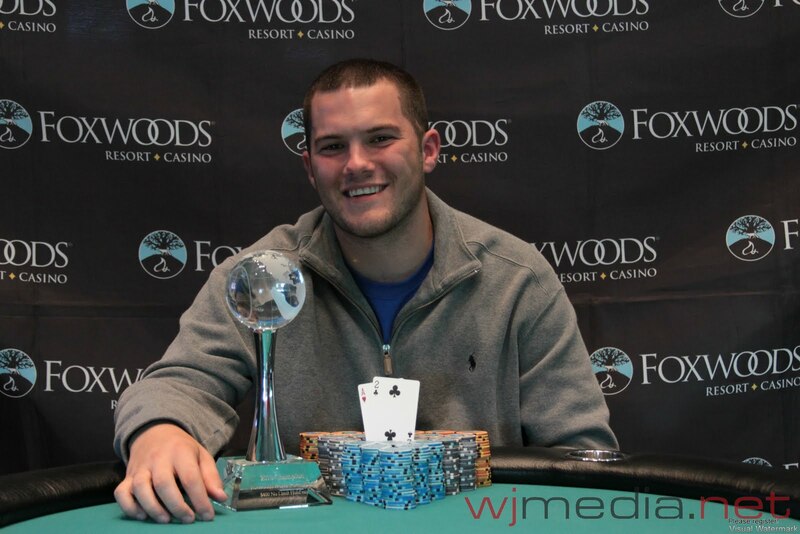 James Tatarzycki Wins the $400 NLHE Event! 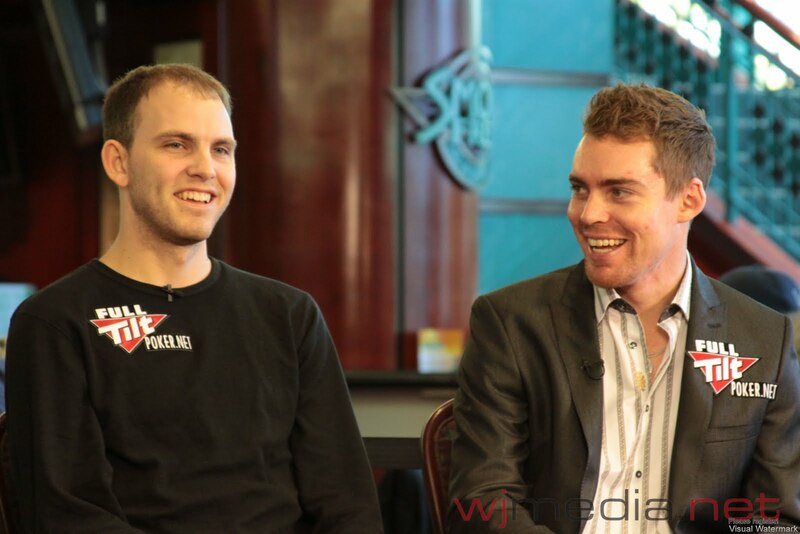 The final five players of the $400 NLHE event came to an agreement on a five-way chip chop. 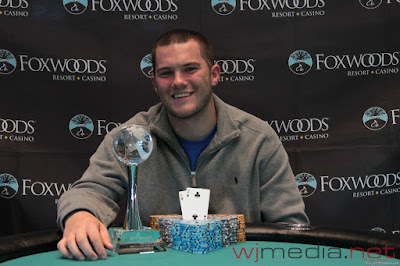 James Tatarzycki was the overwhelming chip leader at the time and takes home the trophy as well as $20,996. The final table of the $400 NLHE event is about to get underway. 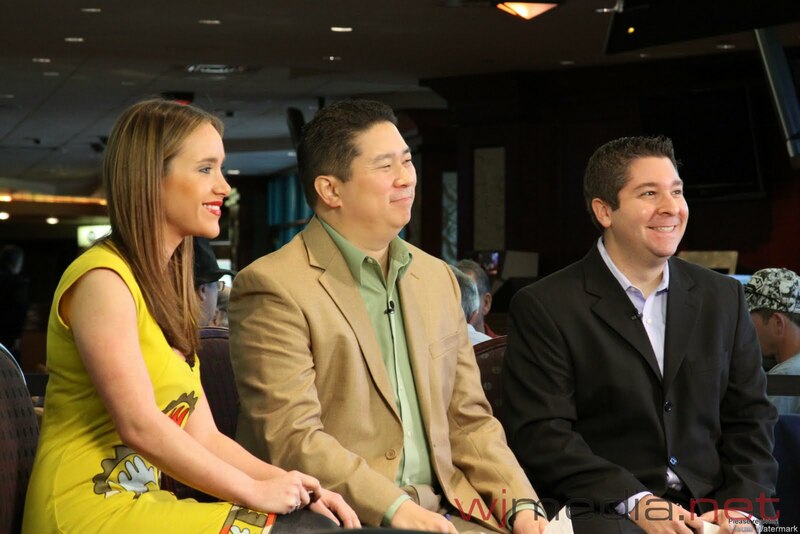 Day 1A of the $300 NLHE Re-Entry event is set to begin. Players will start with 10,000 in chips and levels are 30 minutes in length. 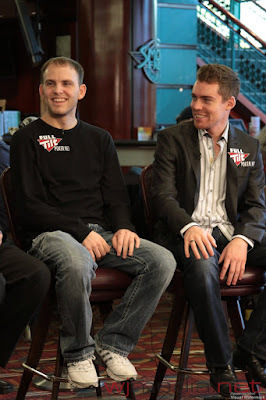 The top 20 players in today's field and the Day 1B field will move on to Day 2. 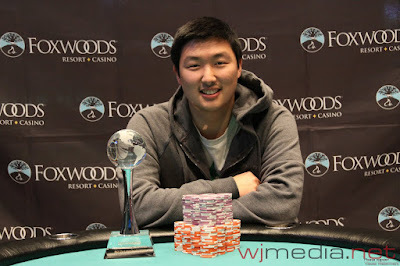 Brian Hun Lee Wins the $400 PLO Event! 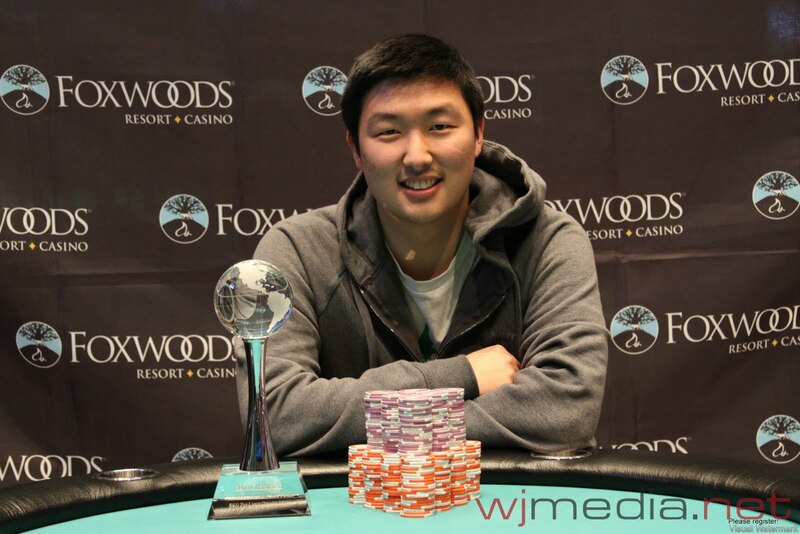 Brian Hun Lee has won the $400 Pot-Limit Omaha Event at the Foxwoods World Poker Finals. The final three players agreed to a chop with Lee taking the trophy, jacket and $4,892. 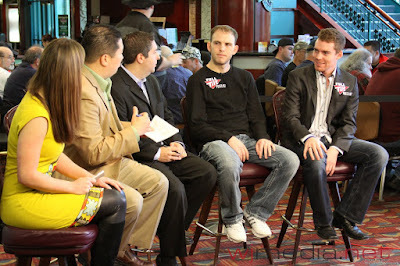 We are down to the final ten players in the $400 No-Limit Hold 'em event. Play has concluded for the night and will resume at noon on Tuesday.